Moving in or out of Clinton? At Optimum Moving, we ensure a highly efficient and safe relocation process. We provide commercial moving, residential moving and white glove moving solutions in the town of Clinton. Our dedicated moving specialists have the knowledge to make sure that the whole process of packing and moving is done seamlessly. Located in Hunterdon County, Clinton is a town that was named for DeWitt Clinton (an early Governor of New York). The town was incorporated from portions of Union, Franklin, and Clinton Townships and covers a total area of more than 1.4 square miles. One of Clinton’s places of interests include the Hunterdon Art Museum for Contemporary Craft and Design. In Clinton, an average house can cost you around $340,869 and this type of property usually features three bedrooms. It was estimated that Clinton residents stay in this town for a longer period of time. Around 49% of the 2,696 residents continued living in the same house for an average of five years. The renters live here for an average of four years, whereas the owners of houses and condos live here for an average of 11 years. Apart from our reasonably priced moving services, we keep ourselves updated with the latest innovations in the moving industry. 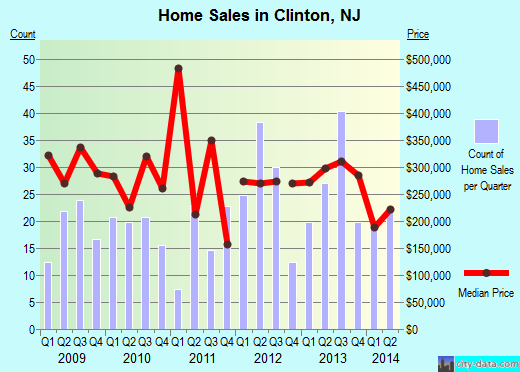 What’s more, the Optimum Moving team is familiar with the many different localities of NJ, including Clinton. This gives us an edge in providing cost-effective moving services. You can rest assured that we are well equipped to handle both small and large scale moves. We provide hassle-free logistic solutions and our proven track record proves that we can accomplish any relocation need our clients have in mind. Consult us today and let us assist you in making a secure move in Clinton! Want to learn more about a Clinton Town Move?